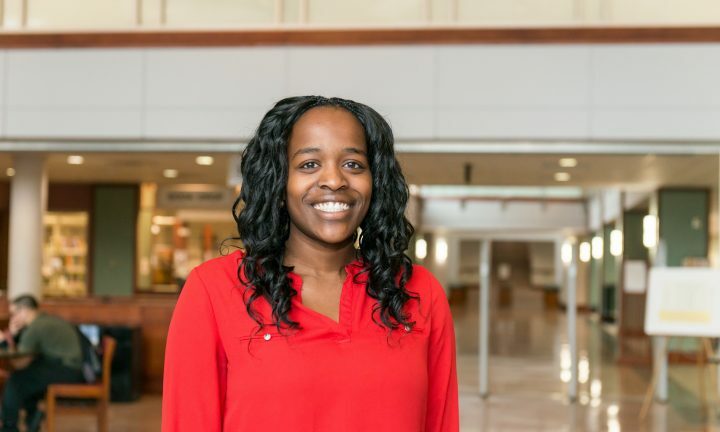 Naomi Mburu ’18, chemical engineering, UMBC’s first Rhodes Scholar. The past year was history-making for UMBC as Naomi Mburu ’18 was named as the first Rhodes Scholar in school history. A chemical engineering major, Mburu is one of only 32 students from across the nation to achieve this prestigious honor. “Rhodes Scholars come from all over the world, but they are unified by a joint passion to make great change in their communities,” says Mburu. Sean Pang and Kavita Krishnaswamy made huge contributions to their areas of expertise. Krishnaswamy photo by Britney Clause ’11. Sean Pang ’09, English, M.A. ’11, education, has been teaching at Rockville High School since 2011. His commitment to his students hasn’t gone unnoticed as he was named Teacher of the Year 2017 by The Washington Post. 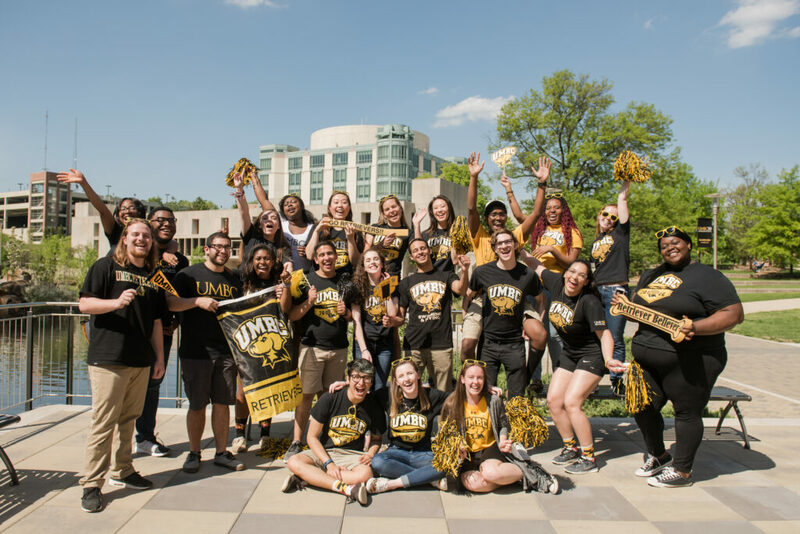 “UMBC was not only my home for six years during both my undergraduate and graduate pursuits, but I identify with this university as the place I found my calling,” says Pang. Kavita Krishnaswamy ’07, computer science and mathematics, Ph.D. ’18, computer science, was named both a 2017 Microsoft Fellow and recipient of the Google Lime Scholarship. Krishnaswamy’s research focuses on building a teleoperated mobile robotic prototype that seniors and people with disabilities will be able to control by repositioning their arms and legs. Retrievers celebrate winning the America East championship game. Photo courtesy of America East. 2017 continued to be a year of firsts for UMBC, both in the classroom and on the field. For the first time in program history, UMBC men’s baseball team won the America East championship and played in the NCAA tournament. As a team and individually, 2017 was a year of achievement for the Retrievers. Catcher Hunter Dolshun ’17, health administration and policy, was named America East Tournament Most Valuable Player, and several other players were named to the all-tournament team. UMBC Mock Trial seniors (l-r) Kayla Smith, Dylan Elliott, and Zuhair Riaz. 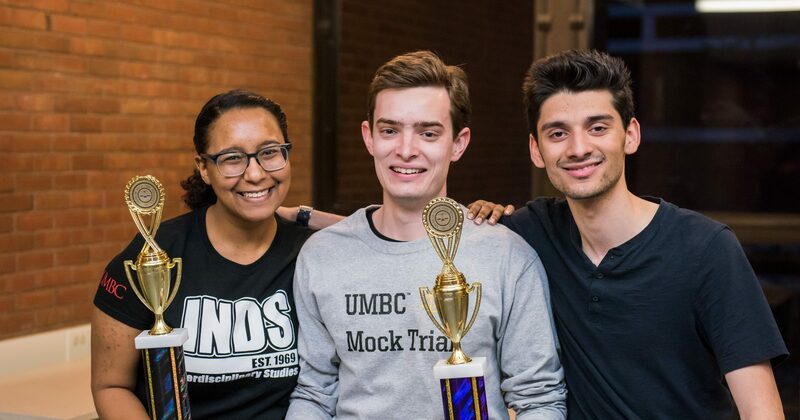 For being so young, UMBC’s Mock Trial team has quickly made a name for itself in collegiate competition. Having outperformed hundreds of other college and university teams since last September, these exceptional undergraduates traveled to the American Mock Trial Association’s National Championship Tournament in Los Angeles in April. 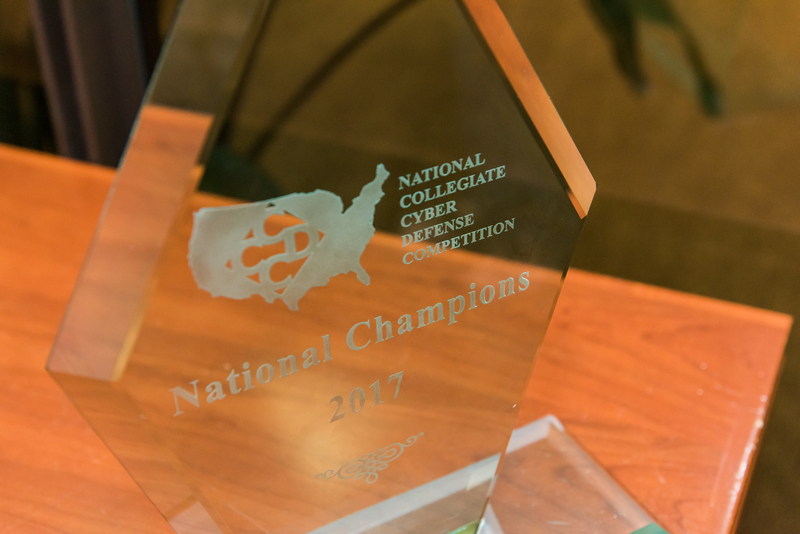 The tournament included a select group of only 48 teams from across the United States. 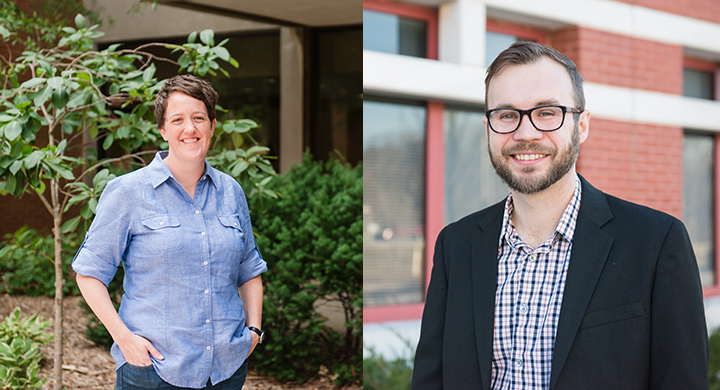 Erin Green and Lee Blaney received nearly $1.5 million combined in research grants. UMBC biologist Erin Green received a five-year, nearly $1 million grant from the National Institutes of Health to examine how cells respond to environmental signals at the molecular level. Her work could provide clues to understanding processes as broad as how cancers take hold, the causes of autism, and aging. Lee Blaney, associate professor of chemical, biochemical and environmental engineering, has received a prestigious CAREER Award from the National Science Foundation (NSF) to advance his research on contaminants of emerging concern and their effects on the environment. The grant will support Blaney’s research on pharmaceuticals, hormones, and personal care products in the local Gwynns Falls watershed. Tinoosh Mohsenin, assistant professor of computer science and electrical engineering, and Ting Zhu, assistant professor of computer science and electrical engineering, also received NSF CAREER Awards in 2017. UMBC students volunteering at Lakeland School. UMBC’s strong partnership with Lakeland Elementary and Middle School has grown steadily over the last five years. 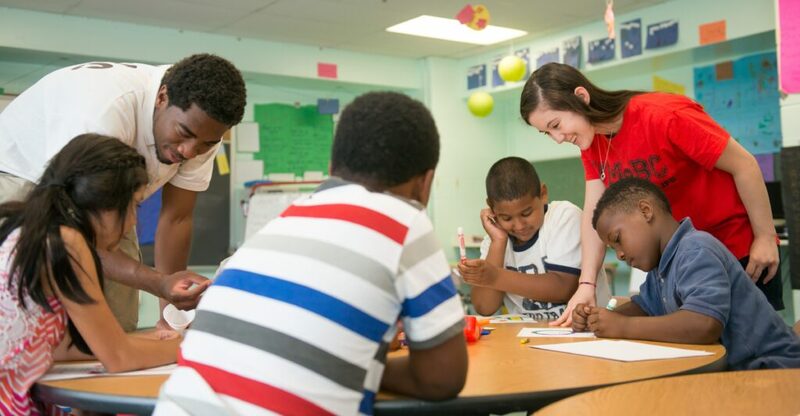 The relationship includes professional development for Lakeland teachers; an opportunity for Lakeland students to attend special events; and a math coaching program, where UMBC students travel to Lakeland and work with small groups of students during the school day. The positive results of this program are clearly evidenced by Lakeland’s success on the math portion of the PARCC, Maryland’s state test. A $6 million gift from the George and Betsy Sherman Family Foundation to establish a new Center for Early Learning in Urban Communities will continue to support these efforts at Lakeland Elementary and Middle School. 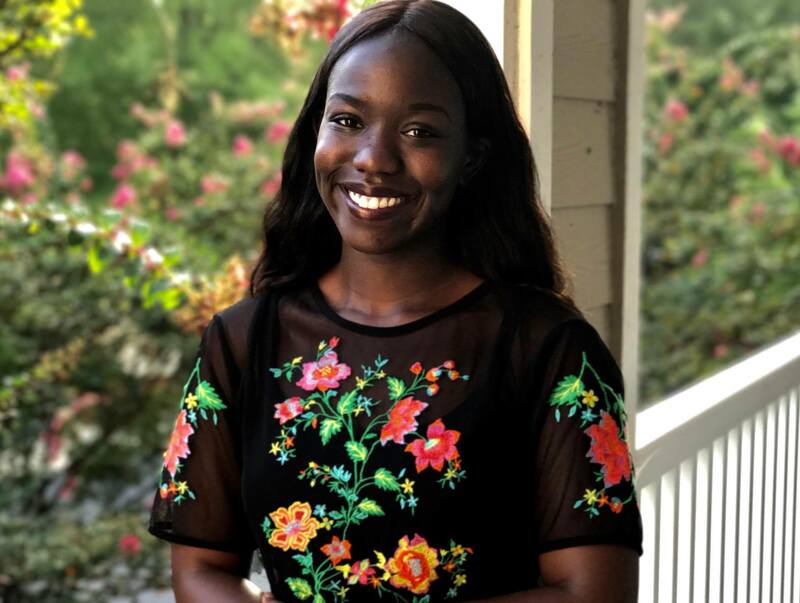 “It is really important to me to have people of color that I can look up to, come to, and connect with me on that level,” said M’Balou Camara ’15. Photo courtesy of Camara. The UMBC economics department received a $1.3 million grant from the Alfred P. Sloan Foundation to increase the number of students from underrepresented racial and ethnic groups who complete highly competitive doctoral programs in economics. This five-year program will support students through scholarships, mentoring, research experiences, and, finally, entry into postgraduate programs specializing in doctoral preparation. UMBC continues to prove its commitment to diversity, having recently been recognized as the nation’s leader in producing African-American undergraduates pursuing M.D.-Ph.D.s, according to new data from the Association of American Medical Colleges. Behind the scenes of Twelfth Night. Photo courtesy of Gregg Schraven ’97. This past November, students took the stage to perform the William Shakespeare classic Twelfth Night. Looking at the polished set and flawless costuming, it’s easy to forget just how much effort goes into creating a production of this magnitude. 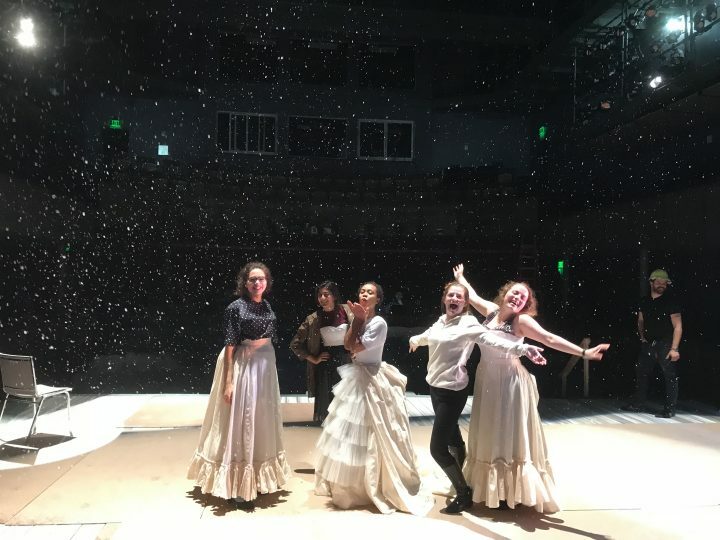 Students worked with faculty to create the sets from scratch—and to design the costumes that would transport the audience back in time to 19th century Russia. 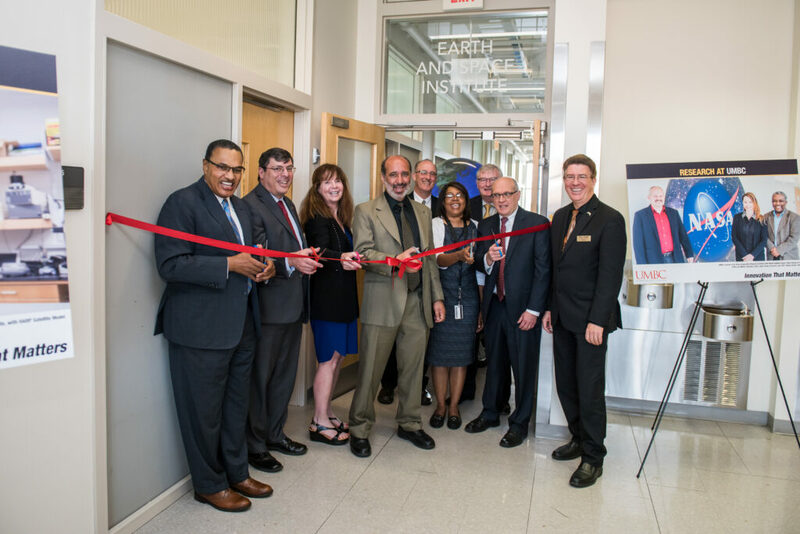 UMBC’s College of Natural and Mathematical Sciences (CNMS) dedicated the Earth and Space Institute (ESI) in September 2017. The research center includes a prototyping lab and operations center. It also acts as a physical home for the interdisciplinary earth and space science UMBC researchers do with support from NASA, NOAA, and other federal agencies, as well as collaborators around the world. “The Earth and Space Institute is our opportunity to reach for new heights,” said CNMS dean, Bill LaCourse. Jerome Adams swearing in as U.S. surgeon general. Photo from whitehouse.gov. UMBC alumnus Jerome Adams ’97, M4, biochemistry and molecular biology, was sworn in as U.S. surgeon general on September 5, 2017. The baton was passed by Rear Admiral Sylvia Trent-Adams Ph.D. ’06, public policy, who served as acting U.S. surgeon general beginning in late April. Adams’ focus during his tenure as surgeon general includes tackling the country’s growing opioid crisis. 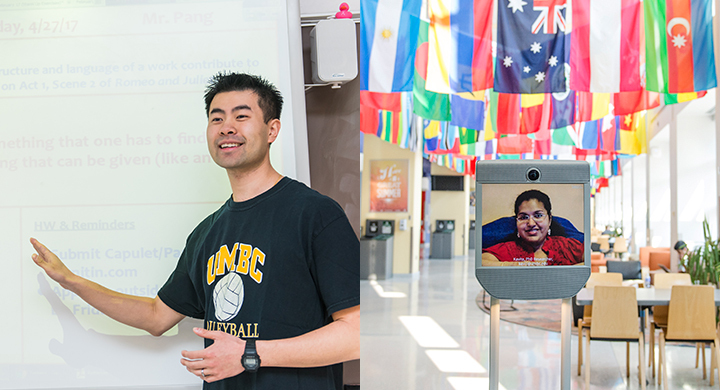 UMBC was honored by U.S. News as a national leader in innovation and teaching, in addition to being named one of Times Higher Ed‘s top universities in the world for teaching, research, knowledge transfer, and international outlook. The Princeton Review again named UMBC as one of the nation’s top universities in its highly revered The Best 382 Colleges, an undergraduate guide. To hear the latest UMBC news as it happens in 2018, follow UMBC on Facebook, Twitter, Instagram, Snapchat (@UMBClife), UMBC News, and the UMBC Magazine, and subscribe to the UMBC News “Top Stories of the Week” email. All photos courtesy of Marlayna Demond ’11 for UMBC unless otherwise stated.